You can use form T778: Child care expenses deduction to claim child care expenses you paid for your child(ren) in 2017. In order for your expenses to qualify, you or your spouse must have paid for child care expenses while the child lived with you. As a rule, only the payments for services provided in Canada by a Canadian resident can be deducted. If you’re married or in a common-law relationship, the person with the lower net income must be the one to claim the child care expenses. However, there are certain situations that allow the person with the higher net income to claim these expenses. Refer to Part C or D of form T778 to see if any of these scenarios apply to you. Remember: You'll need your receipts to claim your child care expenses! Every receipt needs to be made out to the person who paid for the child care expenses. If the child care services were provided by an individual, the receipt should also show the caregiver's SIN (Social Insurance Number). You don't have to submit your receipts if you're filing electronically, but you do need to keep them in case the Canada Revenue Agency (CRA) asks to see them. Note: If you're a resident of Newfoundland and Labrador and you qualify to claim the federal child care expenses amount, you’re also entitled to claim the Newfoundland and Labrador child care amount. 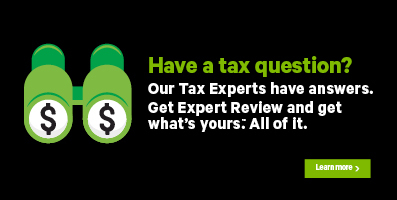 H&R Block’s tax software will automatically apply this credit to your return based on the information you entered on the T778 page. What child care expenses can I claim? Note: This isn’t a complete list. For example, you can also claim the cost of advertising expenses or placement agency fees paid to hire a nanny. For more information on which expenses you can claim, visit the CRA website. a person under 18 years of age who is related to you by blood, marriage or common-law partnership, or adoption. For example, your brother, sister, brother-in-law, sister-in-law are related to you; your niece, nephew, uncle, and aunt are not. *As of 2017, the Canada caregiver credit has replaced the amount for infirm dependants age 18 or older, caregiver amount, and family caregiver amount for children under 18 years of age. If you’re a Québec resident, you can claim your child care expenses on the Schedule C: Tax Credit for Childcare Expenses form. You’ll need to enter the amount(s) from your RL-24 slip or receipts issued by an individual child care provider into the T778 page to claim your federal deduction for child care expenses. For certain child care expenses, your RL-24 slip might include a note specifying the amount that can be used to claim the federal deduction. If that’s the case, enter this amount on your T778 page; otherwise, enter the amount shown in box C of your slip. Note: H&R Block's tax software will automatically complete the Schedule C form for you based on the amounts you enter on the RL-24 and the T778 page. According to the CRA, if you paid an amount that qualifies as child care expenses and the provincial children’s fitness/physical activity/sports or arts amount, you must first claim the amount as a child care expense. Any unused amount can then be applied towards the provincial children’s fitness/physical activity/sports or arts amounts. Note: The federal children’s fitness and arts amounts have been eliminated for 2017 and subsequent tax years. I received Employment Insurance (EI) benefits during the year. Can I still claim child care expenses on my return? Let’s say that you earned $7,500 working at your part-time job in 2017. In addition to your employment income, you received $2,500 in Employment Insurance benefits as a result of being laid off. In this scenario, any deduction that you’re entitled to claim for child care expenses will only be based on your employment income ($7,500). Before you begin, make sure that you’ve told us about your dependants for whom you’ll be claiming child care expenses. Under the EXPENSES heading, select the checkbox labelled Child care expenses (T778), then click Continue. When you arrive at the page for form T778, enter your information into the tax software.